You can see the new cottages from Blue Chip Holidays below. Originally Blue Chip Holidays focused on cottages in the South West of England; they've now expanded their repertoire to include cottage all around the UK. The latest cottages featured here can be found in Cornwall, Devon, Isle of Wight, North Yorkshire, West Sussex, Dorset, West Yorkshire and Somerset. But before you see all the latest cottages available, let me show you that cottage I mentioned earlier: "The Lake House". 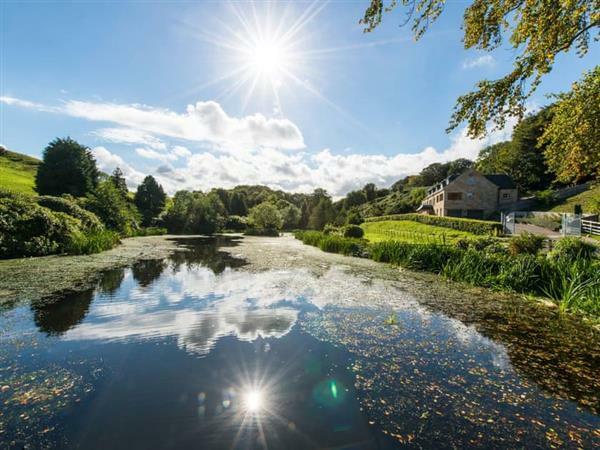 The Lake House in Whitby - a large cottage, The Lake House is set in rural North Yorkshire and sleeps 12 people. Apartment 11 Latitude 51 in Westward Ho! Apartment 5 Latitude 51 in Westward Ho! Apartment 5 Latitude 51 - Westward Ho! The Penthouse - Westward Ho! Apartment 11 Latitude 51 - Westward Ho!